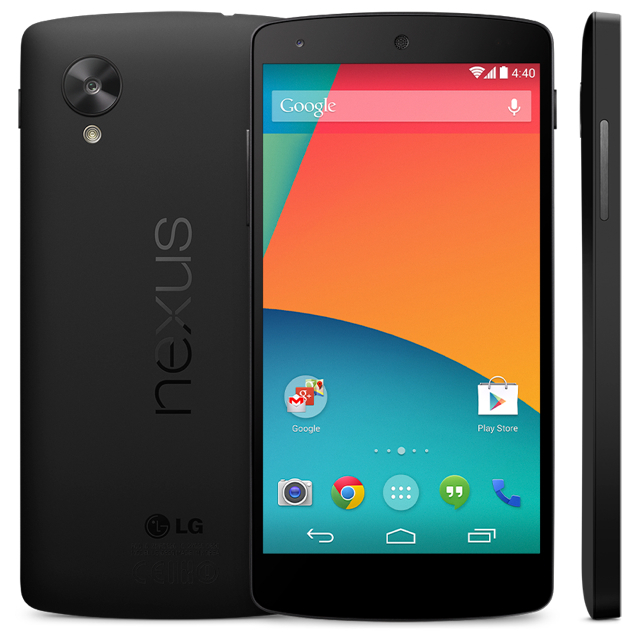 Google has accidentally leaked the Nexus 5 smartphone yet again. 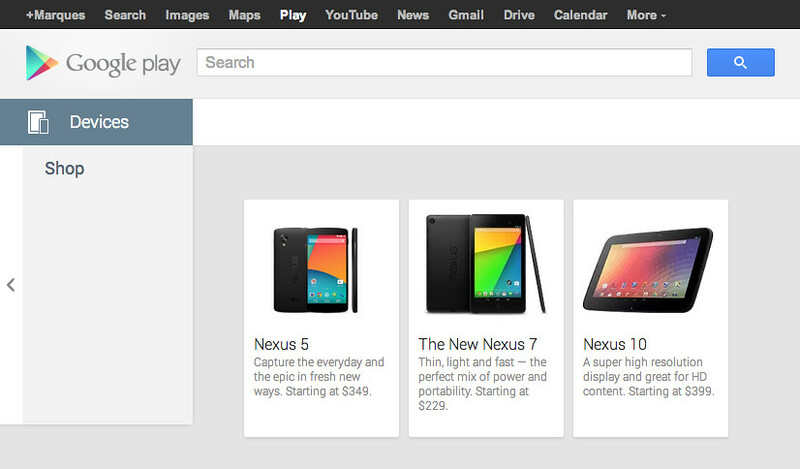 This time the company briefly went live with the device in the Google Play store. Marques Brownlee was able to capture the screenshots below which show the device listed for $349 off contract and a tagline that reads, "Capture everyday and the epic in fresh new ways." Previously, we saw the device leaked in an Android KitKat ad, video clips from a device left in a bar, a service manual, and a hands-on video. The Nexus 5 is believed to feature a 5.2-inch HD 1080p display, a 2.3GHz Snapdragon 800 processor, a 13-megapixel rear camera, 2GB or 3GB of RAM, LTE connectivity, a 2,700 mAh battery and Android 4.4 Kit Kat. One thing that I don't understand is why Google still hires other companies to manufacture their flagship phone if they purchase Motorola... Is Motorola not capable of making a phone the same as Samsung, LG, HTC, Etc?